14 August marked the tragic day on which Turkey launched its second brutal invasion of the Republic of Cyprus in 1974. On 20 July 1974 Turkey had already captured part of Cyprus during ‘operation Atilla’ – its initial invasion of the island. It used the flimsy pretext that it was “restoring constitutional order” following a short-lived coup to overthrow President Makarios by the US-backed junta then ruling Greece. Despite the Athens junta and coup collapsing, and negotiations at Geneva, Turkey launched a second invasion to conquer more Cypriot territory. On 14 August, the Turkish military recommenced its ethnic cleansing of non-Turks in the northern areas of Cyprus through bombing, mass executions (of civilians and combatants) as well as torture and rapes. 200,000 Greek Cypriots were forced out of their ancestral lands. History reveals that Ankara’s real intention in 1974 was – and still is today – the partition of the Republic of Cyprus and the segregation of Cypriots along ethnic and religious lines. Back in the 1950s the Turkish Cypriots were encouraged by Cyprus Governor General Harding and Colonial secretary Alan Lennox-Boyd to begin demanding privileges such as ‘self-determination’ at the expense of the 82 percent majority Greek Cypriot population. At the same time Turkey was invited, for the first time, to play a more active role in Cyprus as a counterweight to Greek demands for enosis (union with Greece) in an attempt to preserve British influence on the island. That Britain ignored its legal, moral and military obligations under the 1960 Treaty of Guarantee is lamentable but perhaps not too surprising. It should not be forgotten that those responsibilities still exist today. Yet what is perhaps more disappointing is that the Cyprus government is now expected to ignore the sacrifices made by Greek Cypriots who were ethnically cleansed since the summer of 1974 and deliver on a plate the ‘bizonal bicommunal’ solution that Turkey wants. As a guarantor power, Britain together with the rest of the world, failed to prevent the crimes against humanity committed by Turkey, not only during its two invasions but also throughout its unlawful occupation. The rapes, disappearances, executions and ethnic cleansing have gone unpunished. There has been minimal condemnation and no prosecutions for these crimes. While 14 August marked a tragic anniversary, we fear even more disaster is looming for Cyprus. The imposition of an unjust and unworkable settlement based on ethnic segregation would reward Turkey for its brutality with ill-gotten gains. It may also set a dangerous precedent that could backfire on the very states that continue to appease Turkey. The Republic of Cyprus was invaded by Turkish troops in 1974. Turkey maintains an illegal occupation in the north of the island with 43,000 troops in violation of UN Security Council resolutions. 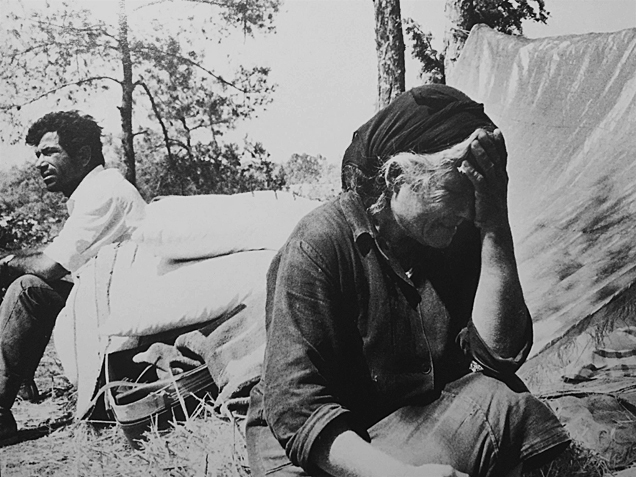 200,000 Greek Cypriot refugees and displaced persons are prevented from returning to their homes in the occupied north. Turkey continues its policy of colonising the occupied territory with hundreds of thousands of Turkish nationals in an attempt to alter the demography of the island, in violation of the Geneva Conventions.